Thursday, January 1, 2015, the Joplin Family YMCA hosted the Chilly 5K and Kids' Frozen Fun Run at Joplin Family YMCA's South branch. In addition to our signature post-race chili, this year's event featured free child care for race participants from 10:30am - 12:30pm and a special guest appearance by Queen Elsa of Joplin! All proceeds benefit the Joplin Family YMCA Annual Campaign. Wednesday, December 31, 2014, was the Ravenwood Mile New Year's Eve run held at Hebrew's Coffee, 1604 E. Republic Road in Springfield, MO. This was the last race of the year and the course was FAST..runners enjoyed a 1 mile run with the majority of it being DOWNHILL! Saturday, December 27, 2014 was the Run for the Ranch Half Marathon, Marathon, 4 Person Marathon Relay and 6 Hour Endurance Run hosted by the Ozark Mountain Ridge Runners. Proceeds from this event benefit the Good Samarian Boys Ranch, which is a primary long-term treatment facility for boys with emotional and behavioral issues. This independent, non-denominaltional organization is known for outstanding treatment of troubled boys from across the state. 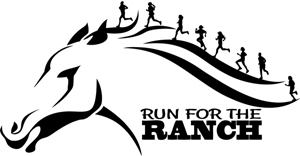 Run for the Ranch began in 1999 as a fund raiser for the Good Samaritan Boys Ranch, Ozark Mountain Ridge Runners, and other local charities. The event is held annually on the last weekend of the year and is traditionally one of the last chances to Marathon in the United States. Springfield, MO - Saturday, December 6, 2014 was the Frosty Paws Winter 5K held at Nathanael Greene Park. Congratulations to the Overall Winner Nick Weis and his dog Denali!! Proceeds from this event benefit the Boxer Schnauzer Rescue of the Ozarks. Branson, MO - Thursday, November 27, 2014 was the 3rd Annual Branson Turkey Trot held at the Branson Landing. Over 600 runners/walkers came out to this year's Branson Turkey Trot to get in some exercise and help support a great cause before celebrating Thanksgving Day with their Family & Friends. Together Forever: A Skyler Sanders Family Foundation was selected as this year's beneficiary of the 3rd Annual Branson Turkey Trot. Together Forever: A Skyler Sanders Family Foundation is a non-profit organization – 501(c)(3) created in memory and in honor of Skyler Sanders. Each day, young families across the nation and world are given life shattering news that they have cancer, and may never have a chance for fond memories. The goal at Together Forever is to create opportunities for these families to make memories that last a lifetime. Thier purpose is to select qualified young families and provide them with an all-expenses-paid vacation to Branson in order to give them a break from their normal lives. support People Helping People in Republic, assisting them in their effort to provide Christmas toys to children in the Republic Community. Joplin, MO - Thursday, November 27, 2014 was the Annual Joplin Turkey Trot which took place in downtown Joplin. Over 800 runners & walkers came out to this year's event! Club 609's once again OPENED Thanksgiving morning for the Joplin Turkey Trot. Participants got to enjoy a post-race Bloody Mary or adult beverage of choice before heading to the in-laws for turkey.